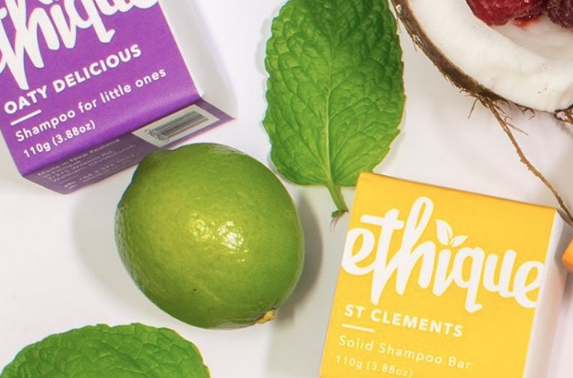 Skin and hair care company Ethique sells shampoo, conditioner and soap, without any plastic packaging. The products all come as solid bars instead of the regular liquid version. Their packaging is plastic-free and made of biodegradable, compostable material. Thinking of it, it just seems totally crazy to pay a lot of money for water in your shampoo. Regular shampoos can be composed of up to 90 percent water. It would save huge amounts of plastic and transportation costs, if we would buy bars of shampoo and just add some water from the tap. The shampoos, conditioners and soaps are also made entirely from natural ingredients like cocoa butter, coconut oil and lavender, what’s not to love about that?